South African markets were generally flat on Wednesday as investors look to the FED for direction. The FED will announce their interest rate decision tonight at 20:00 CAT, the market anticipates a 25-basis point increase in the FED Funds rate to 2.25%. In a surprise move today, Beijing announced that it will cut tariffs on some US products down to 7.5% from 9.8%. This announcement buoyed shares on the Hang Seng and Shanghai equity markets, closing the day 1.15% and 0.92% firmer on the day. China would like to increase its imports to stabilise domestic demand and satisfy its insatiable appetite for American goods with the prime objective of keeping the economy in line with their economic objectives. The Nikki closed the day 0.39% in the black continuing the bourses recovery as it closed a whisker away from its January highs. The United Nations General Assembly (UNGA), provided some comic relief for investors as President Trump claimed that his administration had been the most successful in the history of the nation. The side-lines of the UNGA continue to be testing moment for political leaders and their Finance ministers. 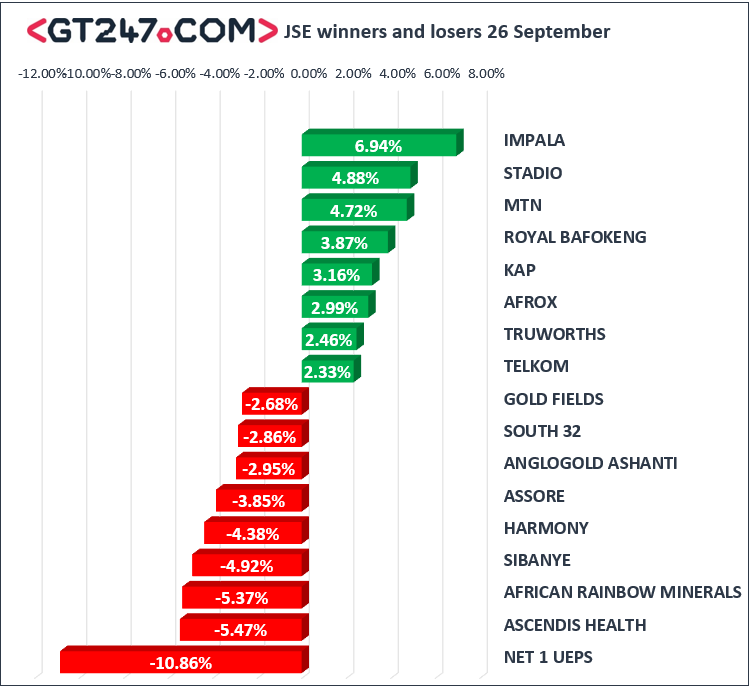 The mining shares that were the darlings of the market on Tuesday became the villains on Wednesday as African Rainbow Minerals [JSE: ARI], Sibanye [JSE: SGL], Harmony [JSE: HAR], and Assore [JSE: ASR], shed 5.37%, 4.92%, 4.38% and 3.85% respectively. The JSE All-Share index closed the day 0.55% weaker, whilst the JSE Top-40 index lost 0.59%. The resource index was down 1.89%, whilst the Financial and Industrial indices were relatively flat shedding 0.01% and 0.17% respectively. The local unit was flat against the greenback, to trade at R14.21/ $ at the time of writing. The Rand was firmer against most of the major currencies on the day, to trade at R16.68 against the Euro and R18.73 against the Pound. South African 10 Year Bonds (R186), were trading at 9.07%, 8 basis points firmer from yesterday’s levels. Commodities were generally weaker on the day as Gold retreated ahead of the Fed interest rate announcement this evening. Brent crude was softer easing to $81.08 per barrel after Wednesdays crude inventory release. A build in crude inventories saw the commodity come under pressure. President Trumps delivered scathing remarks to OPEC members in a bid to lower crude prices. The US have consistently urged OPEC members to increase output as this would hold back the surging oil price. 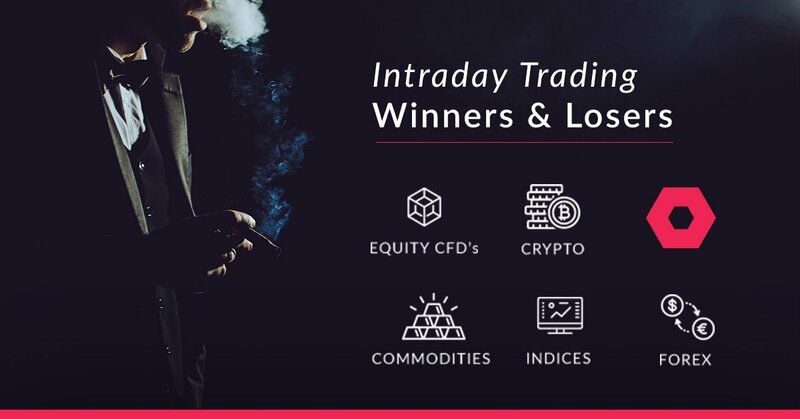 Crypto currencies were firmer on the day as Bitcoin and Ethereum gained 1.23% and 1.78% to trade at $6503 and $214 respectively.